Panel Built, Inc.’s long and strong career of nearly 20 years is here to help you find the perfect prefabricated guard house for your needs. Panel Built’s free quotes will give you additional peace of mind and help you make a decision in finding the prefabricated building that best suits your workplace or business. With a number of flexible options to choose from, Panel Built allows customers to pick the exact specifications and features in order to design the perfect custom product for whatever application desired. Panel Built’s dedication to customer service, quality products, and expert workmanship will ensure that you’ll get the best deal for your money. 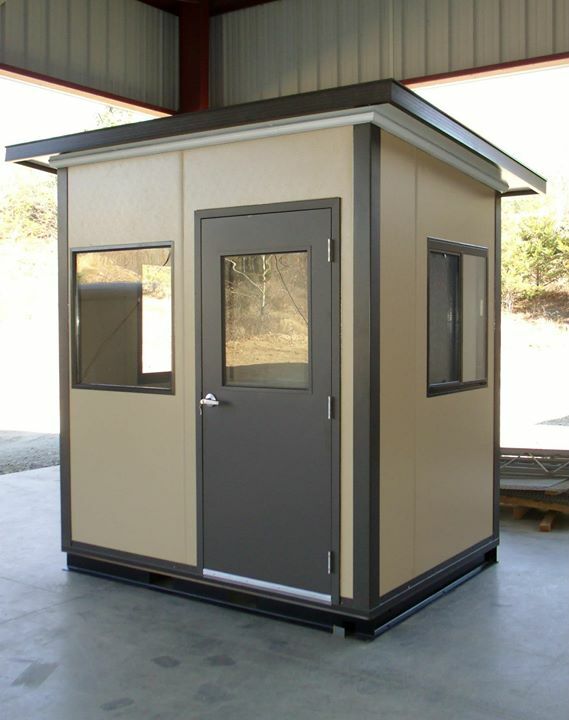 Prefabricated exterior buildings, booths, and shacks are available from Panel Built with a wide variety of options, features, and benefits to fit your needs. 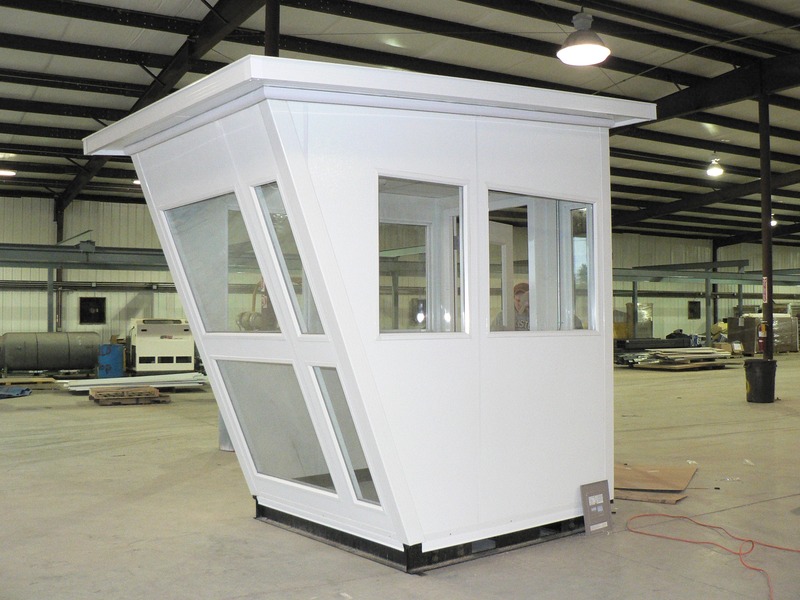 An exterior security booth is customizable in a number of ways, from the roof style and wall materials to additional features like counter tops and different styles of windows to choose from. Also available is the option for a roof-mounted HVAC system, ideal for use by security guards and staff all year round, as well as the option to include sliding windows or lighting. Roof styles include shed, standing seam, and gable. One of Panel Built’s best services offered is its Quick Ship structures. Whether you are looking for a modular office, shack, or guard house by Panel Built, consumers can reap the benefits of ordering structures ready to ship within five days. These buildings are preassembled and need only to be placed in their intended location and feature standard components that include powder coating on the floor and a flat roof with a built-in gutter included. Why Turn to Panel Built for a Guard Booth? Founded in 1995 by brothers Mike and Pat Kiernan, Panel Built remains one of the leading provider of prefabricated buildings on the market. Panel Built is dedicated to providing the best quality, flexible service and products, top-notch workmanship, and 100% customer satisfaction all the time. Panel Built’s top priority is to honor the needs of the customer, which is why they have been one of the leading sources of convenient and reliable construction for prefabricated and pre-assembled structures like the guard shack, modular office, mezzanine systems, and more. Other Products From Panel Built Inc.
Panel Built specializes in many of the most convenient types of buildings and structures. From modular office buildings to mezzanines, stair systems, and ladders, Panel Built has a wide variety of products ideal for use in manufacturing and industrial environments in particular. Inplant offices and prefabricated buildings are extremely beneficial and affordable—because these products are constructed in a factory setting by experts, they are cleaner, faster, and less disruptive to business or work than traditional construction. Rather than having construction workers work on site where circumstances are often less than ideal for all parties involved, the construction of prefabricated structures like a modular office or Panel Built guard booth does not interrupt the workplace for extended periods or take up needed space at its intended location. Modular buildings, offices, and even exterior structures are available with plenty of customizable options from materials to shape and size, allowing clients to pick exactly what will fit their specific needs. Aside from guard booth structures and prefabricated buildings, Panel Built also specializes in the construction of heavy-duty mezzanine systems, impact-resistant guardrails, safety barriers, prefab stair systems, access ladders, and more.